Get your Burma , Red Boy , Albino A+ and PF Original Magic Mushroom Grow Kit Today! 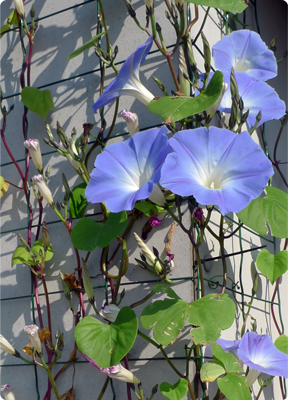 Morning Glory "Flying Saucers" (Ipomoea violacea) is a tropical vine that has beautiful blue flowers. 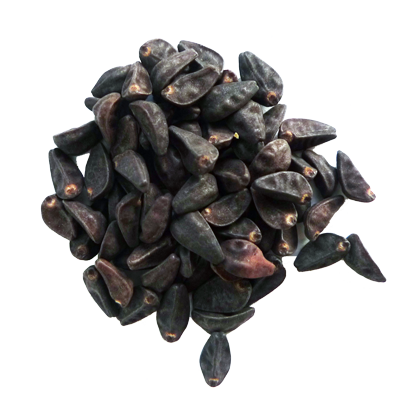 The seeds contain ergine (LSA) which is said to have a similar effect to the illegal drug LSD. 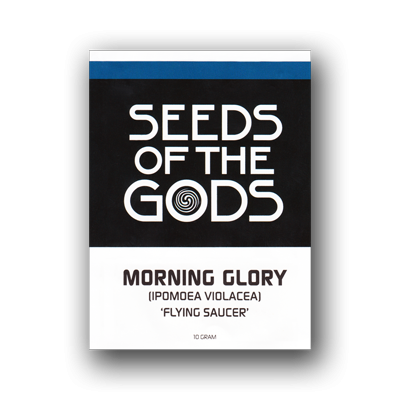 Morning Glory is also used to strongly increase the visual effects of Magic Mushrooms. The effects last for 6 up to 10 hours. To get the best effects from the Morning Glory you should prepare the seeds in a certain way. There are several methods of doing this. Here on the Erowid website you can find a relative easy way of doing this. 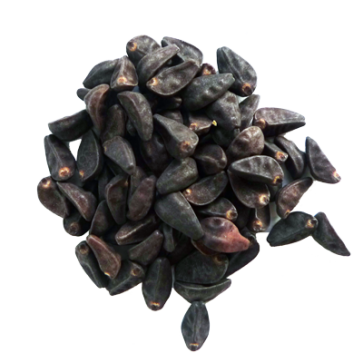 Some people simply eat the seeds and chew on them for a while, but this will give some unpleasant side-effects such as nausea, vomiting or other unpleasent effects during the trip. To grow the plants, simply soak the seeds and let them sprout. When the sprout is 2 cm, you can put them in regular soil about 5 cm deep. Do not place the plants in direct sunlight. The best time to do this is in April. Do not use together with Syrian Rue (Peganum harmala) or other MAOi (anti-depressives). Do not operate heavy machinery. Do not use when you and/or your family has a history of mental illness. Apenas utilizadores registados podem escrever comentários. Por Favor, Faça login o criar uma conta.